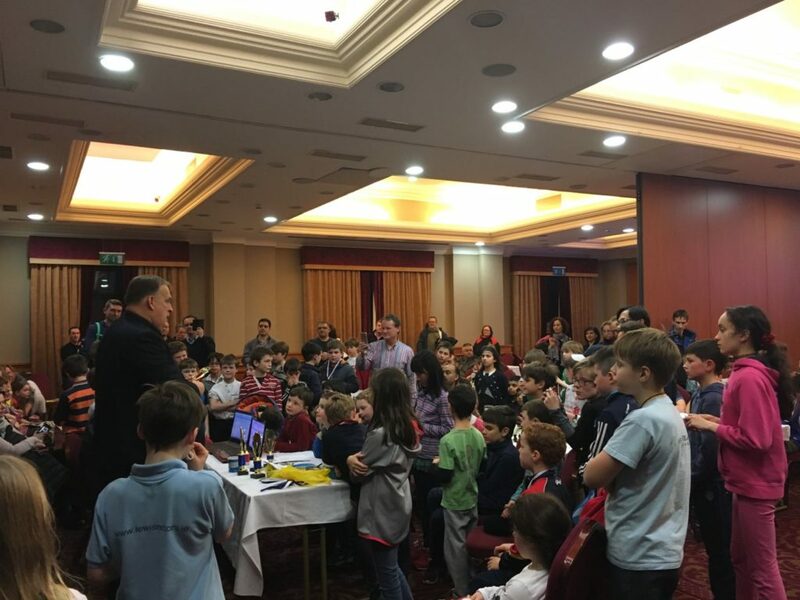 Its not every day a budding chess wizard gets to play with a bona fide Grandmaster, so there was no shortage of either participants or enthusiasm at the Talbot Stillorgan Hotel on Sunday where the a junior chess tournament was held. The event was hosted by Alex Baburin, Ireland’s only chess Grandmaster, whom we are proud to count as one of ChildFund Ireland’s loyal supporters. Before the 6-round tournament began, Alex gave a short simultaneous chess play exhibition, facing 8 young chess players. One of them – Atharva Paibir from Carysfort NS in Blackrock, held the Grandmaster to a draw! Not only generous with his time, Alex also ensured there were chess related prizes available to help the fundraising activities for our work in Zambia, as did Dowlings Pharmacy on Baggot St, Dublin who also kindly supported this effort. 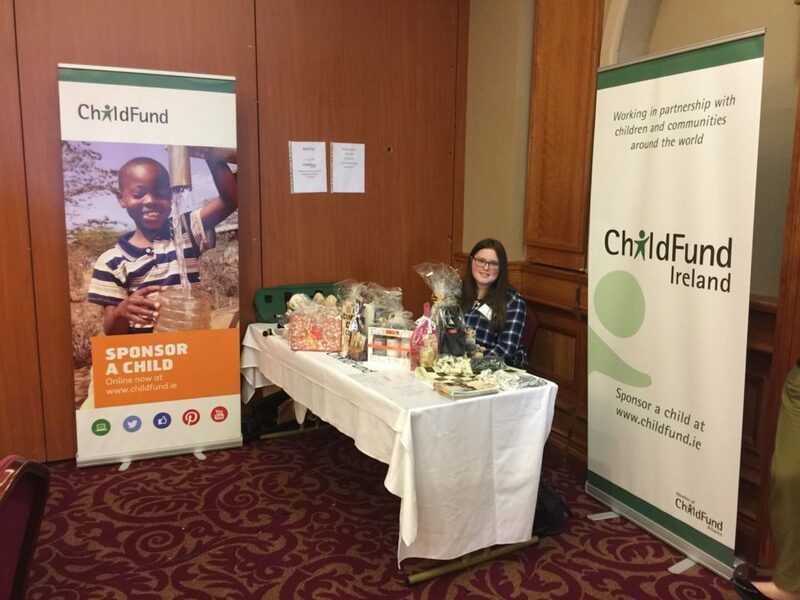 Chief organiser of the fundraising drive and the person manning the information stand was Sasha Lorigan from South Dublin,pictured below. Sasha Lorigan raising money for disadvantaged children in Zambia at the Junior Chess Tournament event in Dublin, Feb 5th, 2017. Sasha will be visiting Zambia in March. She has put a huge amount of her free time preparing for this trip into fundraising, including writing to dozens of bookshops and publishers around Ireland requesting books to donate to children in our project district of Luangwa. Poor literacy rates are a continuing problem for children in the developing world and access to books is very limited. As English is the first language of Zambians, the children in Luangwa, will benefit hugely from these books which will assist them to improve their literacy skills – all thanks to Sasha who selfishly dedicated her time, energy and passion to this great cause. Thank you Sasha from everyone at ChildFund Ireland. Thank you Grandmaster Baburin for for your continued support, and thanks also to Dowlings Pharmacy on Baggot St for generously supplying raffle prizes. Huge thanks too to all the children, parents and supporters attending the tournament who gave generously in order to help us improve life for children in Zambia.